When we (Faders and McLaughlins, who are enjoying being together in Ann Arbor this week) told the kids the other day that we were having sukuma wiki for dinner, there was a loud outcry of cheering. Sukuma wiki is a classic Kenyan dish of chopped greens cooked with salty spices. 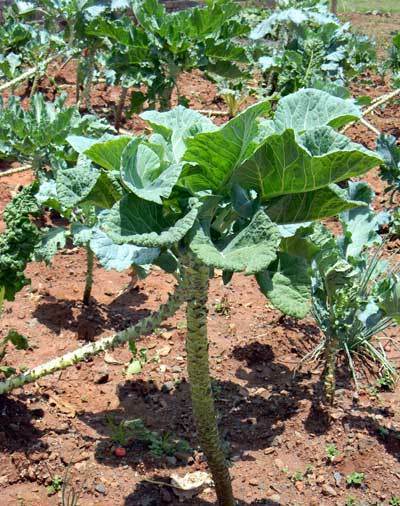 The greens grow year-round in thousands of gardens in Kenya, and they look like this: We had bushels of this stuff growing at Tenwek. The closest vegetable that we can find in Ann Arbor is kale. So we chop up the kale in small strips and then cook it with onions, tomatoes, turmeric, fennel seed, cumin, ginger, coriander, and a few other spices, and it actually tastes really good! Sukuma wiki translates to "push the week." It goes by this name because eating sukuma wiki (which costs almost nothing in rural Kenya) can push a family though a week on a small food budget. In Kenyan fashion, we eat sukuma wiki with chapati, beans, and ugali. Jason has mastered the preparation of this meal (which requires no silverware!). 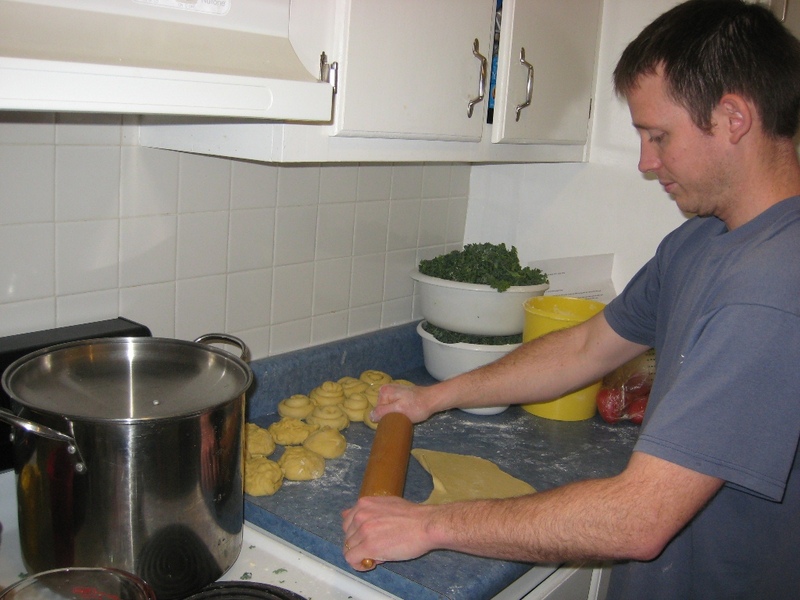 He orchestrated the preparation of the dinner below so that we could share Kenyan cuisine with some friends last weekend. Yum! We are thankful to report that in February, support levels have increased for each of the five McCropder accounts (McLaughlin, Cropsey, Fader, Pfister, Wendler). For more donation information, you can click here. I try to picture it from their perspective. Something has gone wrong. It might have been fast with a panicked call to 911. Or it might have been a slowly creeping problem, coupled with a significant desire to avoid going to the hospital. But at last it becomes apparent that everyone's plans have to be disrupted, because the problem is big enough that we need help. So we head to the Emergency Room, where our blood is taken, we wait for a long time, we get a bunch of tests done. Maybe it's a good experience there, maybe it's not. But eventually they tell us that we need to plan on staying in the hospital for a few days. In other words, this is pretty serious. You need professional medical people to be watching you. You need help that can't be provided at home with pills. Something could go quite wrong if you were to try and manage this at home. This is the point where I come into the story. The ER doctor calls me and tells me that there is someone needing admission, and I'm the one to do it. I get the story, review the chart, and walk into the room. "Hi, I'm Eric McLaughlin, one of the general medical doctors, and I'll be taking care of you here in the hospital." We talk about the problem. I examine the person who has the problem. We talk about what is going on, and what we need to do about it. The reactions are mixed. Oftentimes, they are just thankful that their concerns are addressed, and that I'm optimistic about everything getting better. Sometimes they are just resigned. But several times over the past month in my US medical experiences, I've encountered a completely natural, understandable, and extremely challenging reaction. They don't trust me. Or they haven't figured out yet whether they will or not. And why should they? They just met me. I smile and do my best to convey that I really care. I went to medical school and have appropriate credentials. Shouldn't that be enough? Well, maybe. But this is serious, remember. This is a big problem. Big enough to come into the hospital. What if this young doctor makes the wrong decision? How can I know that I should trust you? Maybe I had a bad experience several years ago. Maybe I felt mistreated by another doctor once. Maybe I never trust anyone, and that is how I've lived my whole life. Maybe I'm so scared right now that I'm paralyzed into not trusting anyone. What if I decide not to trust you? What then? Ah, a good question; one in which I unfortunately have enough experience to know the answer. You run the risk of hampering the very care that I'm trying to bring you. Things may be delayed. Compromises may be struck at your request that really shouldn't be. I know I'm not perfect and won't always get it right, but please, for your own sake, trust me. You can't get around it. For all of it's fancy machines, computers, and multi-center, prospective, randomized controlled trials, medicine retains an irreducibly human element. And personally, I am thankful that it does. But that means that there is a leap of faith, a leap of trust. We all try our best to discern if our trust is well-placed, and we all pray that it is. This is not unlike the same leap of faith that is required for any real relationship or love in our lives. But it's a quick one, an uncomfortably quick decision that has to be made now to meet the urgent problem that has arisen. And as much as this is a reflection on my time here in the US, this theme is very much preserved in Africa, sometimes even more so since I am not of their culture, and may not even speak their language. Compared to Americans, I think Africans are generally more used to the feeling of things not being totally under their control, but a lot of trust is still required. I try not to make a habit of quoting early 1990's CCM songs to make a point, but I love this old song of Christian music's quintessential poet Rich Mullins. The first verse and chorus chime in on just how hard trust can be. Though we're strangers, still I love you. He has called us here, you and me. Peace to you - Peace of Christ to you. This book doesn't necessarily have anything to do with Africa...but it does have a lot to do with medicine. I was first introduced to Atul Gawande's work when I found a copy of one of his New Yorker articles on health care in the bathroom. I spent a very long time in the bathroom that day, reading his article on what's wrong with health care, why it costs so much, and what we can do about it. Come to find out, Gawande knows what he's taking about: he's a Harvard trained surgeon who also happens to be an incredible writer. I found one of his books, Better: A Surgeon's Notes on Performance, on the Faders' shelf at Tenwek and devoured it in two days. It is difficult for me to say for certain, since I am decidedly a medical person, but I think Gawande has a knack for explaining complex medical issues in layman's terms. He seems to write about things in a way that makes a lot of sense and is incredibly interesting. How else could I have stayed so interested in a chapter on hand washing? The book is a great look at how we do what we already do...better. As physicians, we almost always have the best of intentions. We know what has to happen. But how does it actually get accomplished? If, for example, we know that washing hands stops the spread of disease, and it's easy and cheap, 100% of people must wash their hands, right? No, not even close, says Gawande. Why? How do we improve? He illustrates his point and talks about various aspects of the problem by focusing on a different issue each chapter: polio vaccines in India, APGAR scores, trauma surgery and developments in the military, cystic fibrosis, malpractice suits. 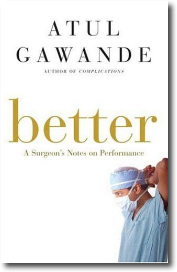 It's nonfiction, but Gawande's way of making his point through story left me flipping pages rapidly. I was hooked after a page or two, but I felt like we were really connecting as I read his final story. Gawande is Indian by birth, and he went back to India during his training to spend a few months working in on of their hospitals. He recounts an incident where he was trying to place a chest tube in a man dying from a massive pleural effusion (fluid around his lung causing it to collapse). The hospital had a CT scan and the ability to do angiograms, but no chest tube. No scalpel. No pulse ox. The man died. As I read this account, it reminded me of all that we are trying to do in the developing world. There are days where someone has donated some new equipment, or we open a new hospital wing, or implement a new program. These are all GOOD THINGS. But when patients are still dying because no one checked their vital signs, or we have run out of IV fluids, BASIC things, then it begs the question...do we need to work on doing what we already do, better, before we move on to something new? Gawande asks the question. Something worth pondering. 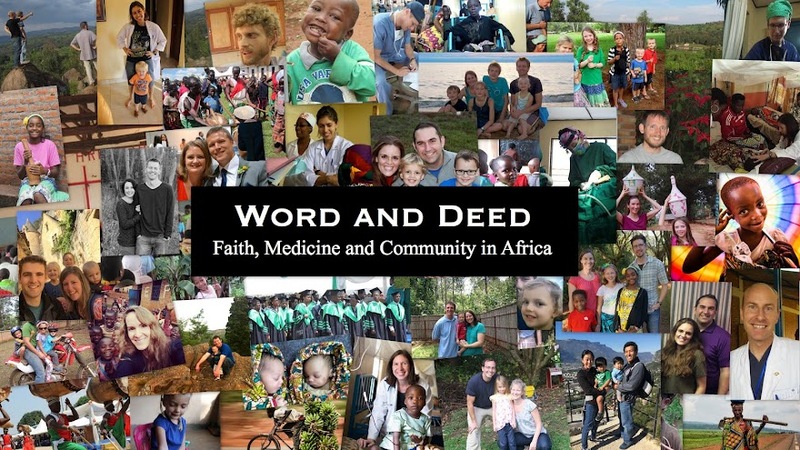 (From Alyssa): Through our two years in Kenya, we certainly were reminded daily of the gaps in our medical knowledge regarding tropical medicine and diseases, surgeries, etc. outside the scope of our American residency programs. We learned a lot from our Kenyan colleagues, from the long term missionaries, and from various continuing medical education activities. And thankfully God continued to show His strength in our weaknesses! From a human perspective, so much additional training would be helpful for our work in Burundi - medical education, various subspecialties, community health, hospital administration, laboratory set up, ultrasound, seminary, etc., etc. For now we're all pursuing linguistic and cross cultural adaptation training (as mentioned in previous and future blogs at Mission Training International in Colorado), Sonship (Gospel transformation discipleship course), language learning (French and Kirundi), and Eric and I are participating in tropical medicine courses at two different sites this year. We look forward to seeing the partners God brings across our paths who have expertise in areas we lack and also to continuing to learn reliance on Him through our deficiencies. I don't know all the details, but the patient is a 19 year old male who's already been treated for tuberculosis once before. Maybe he had drug resistant tuberculosis in the beginning, maybe he failed to take his medicines as instructed, maybe he couldn't afford transportation to the clinic (TB medicines are free in Peru and in many other countries including Kenya and Burundi - provided by the global fund, the governments, etc., but transportation is still an issue for many people), maybe he has HIV and TB and it was too complicated to visit both clinics (at two separate locations), maybe he recovered but then was reinfected with TB from another source living in his community. I do know he lives somewhere on this hill (below picture taken from the vantage point of the clinic)- very crowded living conditions, very impoverished, ideal for spreading TB to the many close contacts around him. So he has active pulmonary tuberculosis again. And this time, drug susceptibility testing was done. And as you see in the below medical chart, his tuberculosis is resistant to all but one of the first line TB drugs. In the developed world, drug susceptibility testing (which is quite expensive and labor intensive) is done on every patient diagnosed with TB. That way the clinician knows exactly what drugs will work for the individual patient. Developing countries don't have that luxury, so they start with the first line drugs and then if the patient fails treatment or gets TB again, they try to do the specialized testing (of course the resistant patient is likely contagious throughout these months of inadequate treatment). I looked up the statistics for Kenya - 69% of their retreatment patients get drug susceptibility testing, although the goal is 100%. So many variables are at stake, there - one simple thing, the special bottle to collect the specimen to send to Nairobi for the testing frequently seemed to be out of stock when we were there. This box contains the entire treatment course for our 19 year old patient. He comes daily for his medications including one injectable med and five oral meds. If he doesn't show up, someone from the clinic goes looking for him - and hopefully finds him unless he gave the wrong address (which is evidently common). This box of meds for one case of multidrug resistant TB costs about $5000. An entire 6 month course of first line meds for a susceptible TB patient costs about $20. As you can see from the above map, the countries with the most TB include the poorest countries in the world. Of the 22 countries containing 80% of all the tuberculosis cases in the world, Kenya is ranked 13th. I couldn't find the data for Burundi except to find a study from 2003 that reported, "Levels of drug resistance in Bujumbura [Burundi capital city] are higher than average for Africa, despite long-term use of the DOTS [Directly Observed Therapy] strategy with FDCs [Fixed Drug Combinations] and a ban on sales of TB drugs." It's estimated that worldwide only 7% of all multi-drug resistant TB cases are diagnosed (due to a lack of laboratory facilities, rapid tests, funding, etc.). But if you're a ministry of health official for a poor country and you can treat 250 susceptible tuberculosis patients for the price of 1 drug resistant patient, where do you put your efforts? For a couple of months, we are living in St. Joseph, MI, a few miles inland from Lake Michigan, where I am doing some hospital work. It's been a mild winter, but maybe it's starting to catch up. Wow, it would be great if I had 4-wheel drive. Instead, I have a 2-wheel drive van. Wow, the Lord has made a beautiful place here. If I try to look around and enjoy it, I'm sure to die. Slowing down may actually be more dangerous in this situation. I'm so glad no one really cares if I stay in my own lane. Well, there are worse things than getting stuck. The best thing about this situation is that there are not many other cars on the road. When in doubt, trust the ruts that are already in the road. Of course, one never quite knows where those ruts led the last person. Oh look, they didn't really lead them very well. Better get out of the rut. Lord, thank you, thank you, thank you for bringing me safe and sound from point A to point B. Driving back from visiting some friends. John has skillz. We never got stuck. I like that title because it has so many interpretations. This post could easily go on to relate a struggle with some besetting sin issue and the sense of helplessness and weakness that drives me to lean more completely on God’s grace. It might describe a day in the life of a child struggling with muscular dystrophy or a middle aged man gradually succumbing to Lou Gehrig’s disease (ALS or amyotrophic lateralizing sclerosis). Or, the disease could be more transient, Guillian-Barre or an epidural injection gone wrong and waiting to wear off with time. But today’s post is about the wind, candles, and camping in your own home. Last night Los Angeles experienced gale force winds as part of our seasonal Santa Ana weather pattern. One report claimed gusts of up to 90 mph. Those who live in tornado- or hurricane-battered parts of the country can easily guess the outcome of such a windstorm - thousands left without power. The lecture went better than the milk in the fridge and at 5 pm the following day I relit the candles and settled in for a dark and quiet evening. No internet. No TV. Only as much computer and phone as my batteries will allow. I cannot very well read by the puny candlelight that I have, much less write in my journal. So what is an over-busy American emergency medicine resident to do with himself? I take a deep breath and then a nap. I take a little snack and spend some time in prayer. With candles flickering around the house it looks like a seance but it feels like a camping trip. And really, why not use it as a time for special communion with God? There is something emotional, dare I say, romantic, about candles around the house for mood lighting. Perhaps God, in His infinite wisdom, ordained a tropospheric sneeze to extinguish the lamp of the the LA DWP so I could spend this evening with Him. Maybe He cut the cables connecting me to the nuclear power plant south of San Clemente so that I’d rely more on the connection I have to the omnipotent Sustainer. For that, I am thankful...and for the fact that we still have running water. “Do you miss Kenya?” We hear this question often. I, Heather, definitely do miss Kenya at times, even while I also love being here in Michigan. Missing Kenya sometimes hits like an overpowering wave when we least expect it. Any of the following might cause a momentary transport back across the ocean. A word: If anyone mentions words like Jolly, residents, chameleons, rice and beans, safari, Orange, waterfall … words like these conjure up good memories and can mysteriously bring us back to Kenya. A name: Recently, Anna looked up from a book and said, “Mom, I miss Hannah B.” I miss Hannah, too, and her whole family as well. We sat and missed them together for a few minutes. 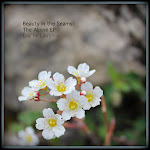 A feeling: Recently some friends of ours here have suffered an enormous and painful loss. Grieving with them churns up aching in my heart both for their family and for suffering like theirs that we saw far too frequently at the hospital in Kenya. A contrast: Once a few months ago, I saw a mother kiss her healthy baby, and somehow it pierced my heart as my mind flew back to Kenya and settled on our foster babies who have no mother to kiss them. The contrasts unsettle my soul sometimes, and it can take a while to find my sense of balance again. 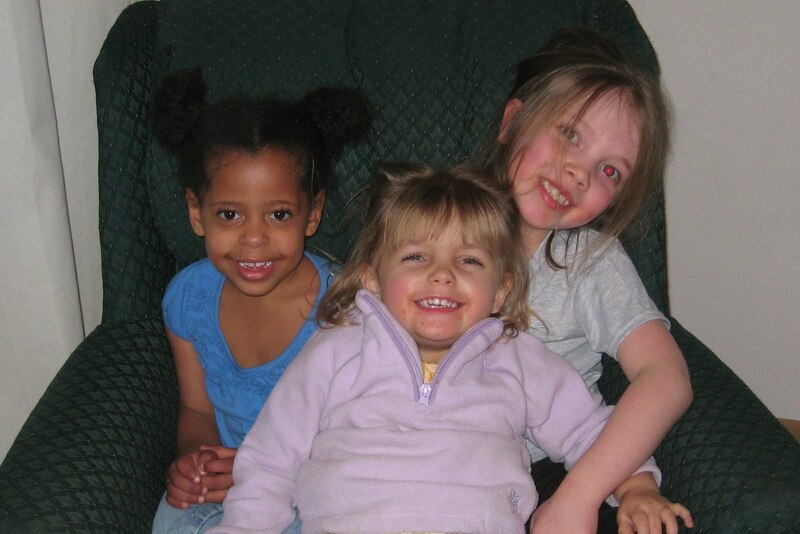 A cultural confusion moment: Last week I was saying "thank you" to the girl who watched Abi in the nursery at church. So I shook her hand. And then I remembered that we don’t really do that in this country, but I couldn't remember the cultural equivalent here. A pineapple: Yesterday Anna and I saw a fresh whole pineapple in the grocery store. She stopped and stared at it for a moment. I recognized that look in her eyes: that look of being suspended between continents. So if ever a McCropder does not seem to be tracking with you for no apparent reason… just wait patiently, and they’ll probably find their way back to America in a minute or two.